If reigning UFC light heavyweight champ Jon Jones and reigning UFC heavyweight champ Daniel Cormier fight for a third time, the former will enter the cage as a significant betting favorite. 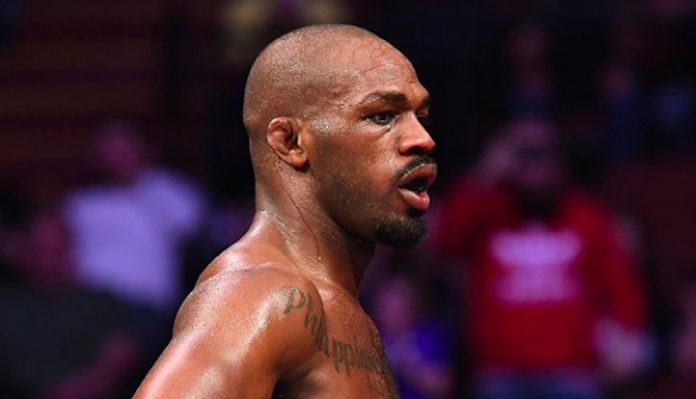 The online sportsbook Bovada has updated the odds for this potential trilogy fight after Jones’ UFC 232 defeat of Alexander Gustafsson, and Jones has been pegged as a -265 betting favorite over his arch rival. This means that a successful bet of $265 on Jones would win you $100. Cormier, meanwhile, is now a +205 underdog, meaning a successful $100 bet on him would earn you $205. Bovada has also released odds for two other potential Jon Jones matchups. In a much-discussed fight with former UFC heavyweight champion and WWE star Brock Lesnar, Jones has been identified as a -350 favorite (bet $350 to win $100). Lesnar, meanwhile, has been pegged as a +265 underdog (bet $100 to win $265). In a fight with former UFC heavyweight champion Stipe Miocic, which has seemed like a real possibility in the past, Jones has been identified as a -160 favorite (bet $165 to win $100), while Miocic is sitting at a much closer +140 (bet $100 to win $140). No word yet on the odds for a potential super fight between Jones and Cain Velasquez. How do you think the new UFC light heavyweight champion would fair against Daniel Cormier, Brock Lesnar and Stipe Miocic? Do you see any solid underdog bets here?